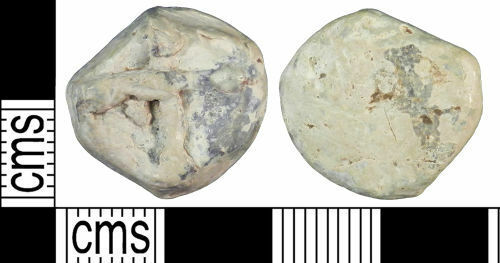 A complete cast copper alloy weigh or gaming piece of Post-Medieval date. The object is circular in plan with a trapezoidal section and is decorated with a raised cross on the upper surface. No further decoration is evident. The object is 18.3mm in diameter, 7.7mm thick and weighs 14.1g.